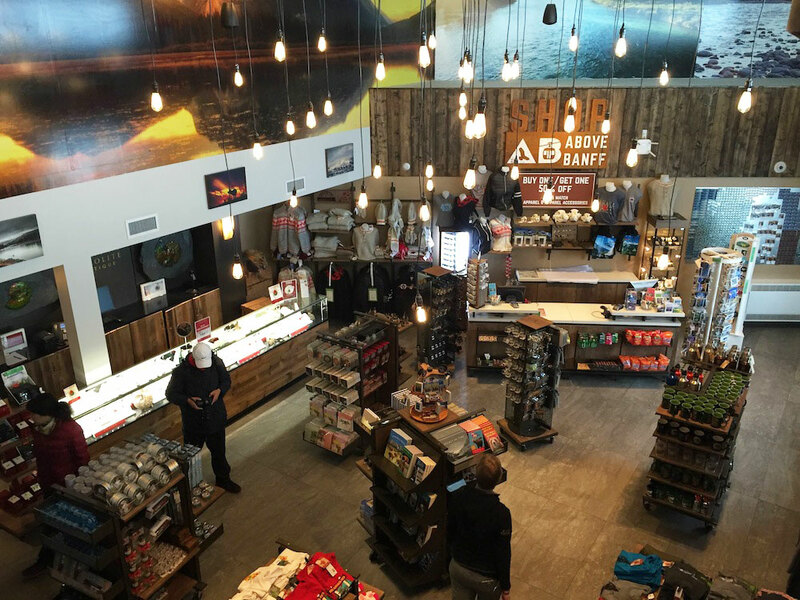 After a $26 million redevelopment, the Banff Gondola summit now features two eateries, a coffee shop, a theatre, a 360-degree observation deck, educational exhibits and more. Visitors and residents alike can now re-experience one of Banff National Park’s most iconic attractions with a visit to the new, four-level Banff Gondola summit facility at the top of Sulphur Mountain. Situated 7,486 feet above sea level and 2,900 feet above the town of Banff, the new facility is the result of a $26 million redevelopment of the gondola’s upper terminal, which was built in 1980. Brewster Travel Canada began redeveloping the gondola in September 2015 and has been re-opening sections of it throughout the last year. 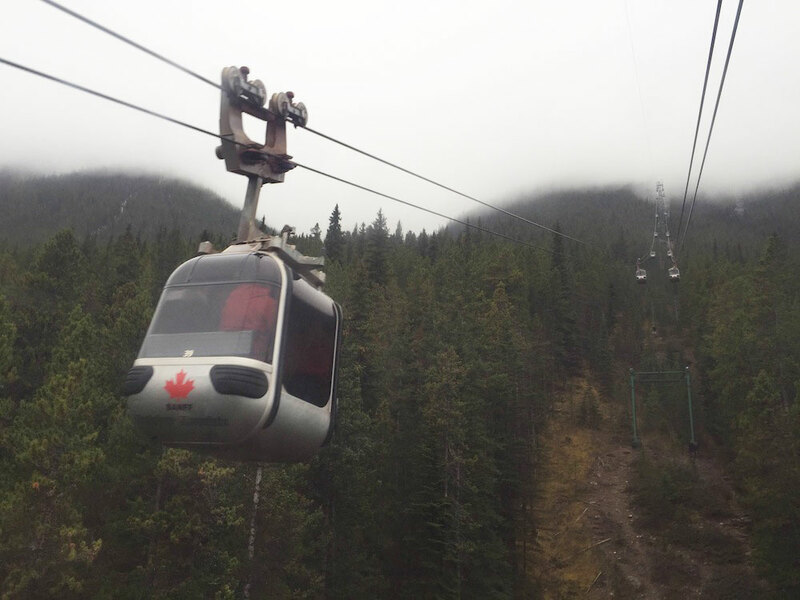 The redevelopment is now finished, and the Banff Gondola celebrated the grand opening of the summit on October 6th. The new upper terminal features plenty of ways to experience the mountains both indoors and outdoors. There’s a restaurant, a coffee shop, a 360-degree observation deck, family-friendly exhibits, a theatre and more. Even with these new additions, Brewster was able to ensure that the new upper terminal’s environmental footprint will be less than before, thanks to the introduction of environmentally friendly features like solar panels, compost separation technology and low-impact building materials. 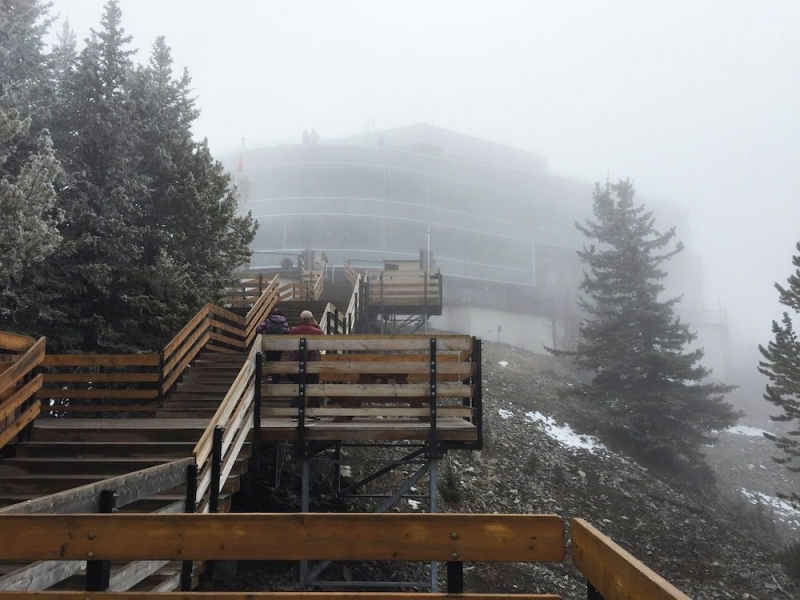 We ventured to the top of Sulphur Mountain on the gondola’s foggy grand opening day to check out what’s in store for visitors at this new mountain experience. For more information on the all-new Banff Gondola, visit brewster.ca. Head to the base of Sulphur Mountain to board the gondola, which takes you on an eight minute ride up to the new four-floor facility at the summit. One of the first spots you’ll come across on the first floor of the new facility is the gift shop, where you can pick up apparel, mugs, jewellery and more. 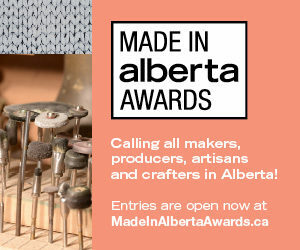 The shop features some distinctly Canadian touches, like the Korite Ammolite boutique area where you can purchase jewellery featuring ammolite, a gemstone found in Alberta, and the Art in Motion display at the front of the shop, which features the artwork of different local artists. 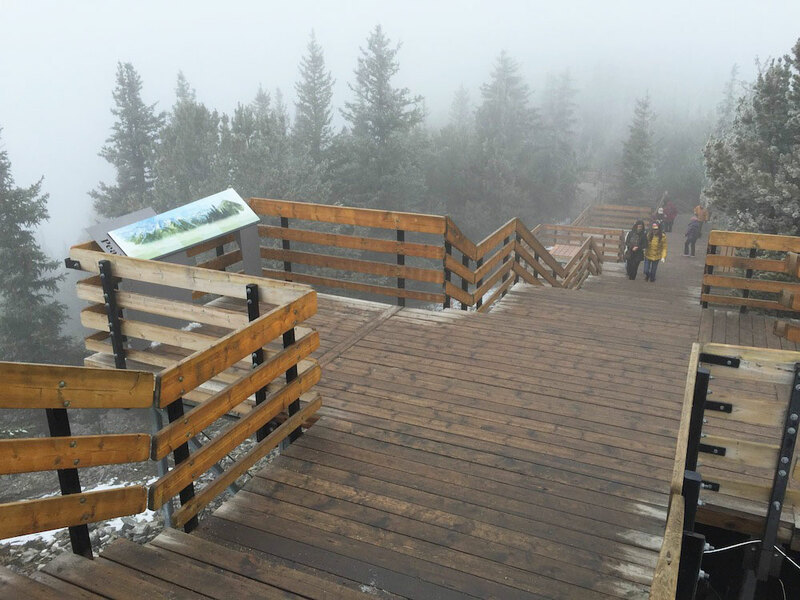 Be sure to take a walk along the Sulphur Mountain Boardwalk. It’s a self-guided path that departs from the building’s first floor and can take you all the way to Sanson’s Peak. There, you’ll find the Sulphur Mountain Cosmic Ray Station, which was named a National Historic Site of Canada in 1982. 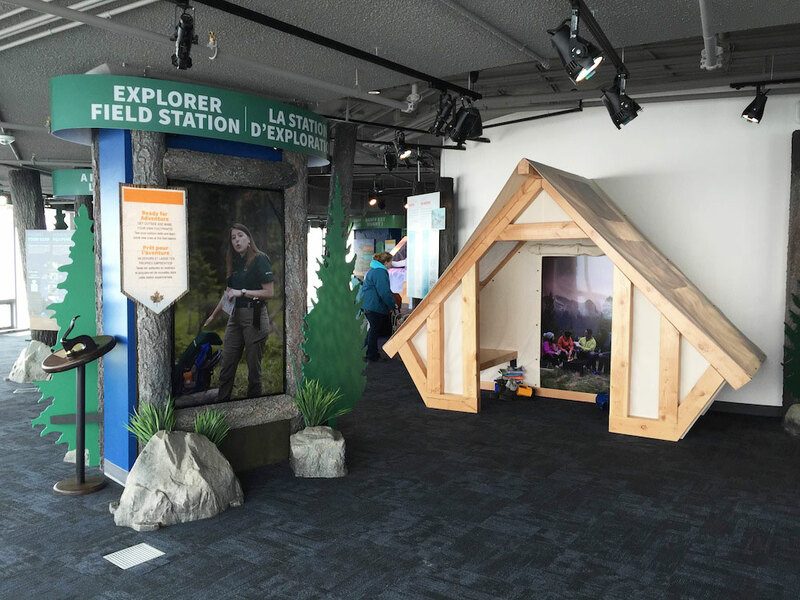 On the facility’s next level, you’ll find a whole floor of interactive, educational exhibits at the Above Banff Interpretive Centre. The exhibits are a great way to become better acquainted with the mountains, offering a history of the area, facts about the climate and terrain, and interactive elements like mastering different rope knots. This floor is also home to a 40-seat, multi-sensory theatre where you can watch a quick film that shows off the beauty of the Rocky Mountains. If you work up an appetite getting to the top of Sulphur Mountain, there are now two eateries you can grab a bite at. 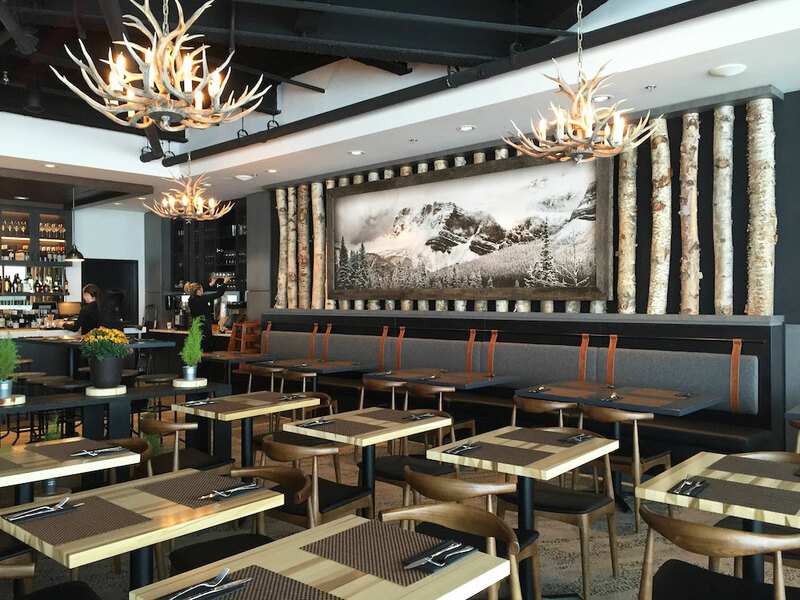 Sky Bistro is the slightly more formal dining space of the two, and is beautifully designed with antler chandeliers, a tree trunk feature wall and mountain artwork. A portion of the restaurant also has floor-to-ceiling windows that look out at the mountains. Open for lunch and dinner, the restaurant’s Canadian cuisine features dishes like confit duck poutine, craft beer battered Atlantic cod and Alberta beef shortrib. 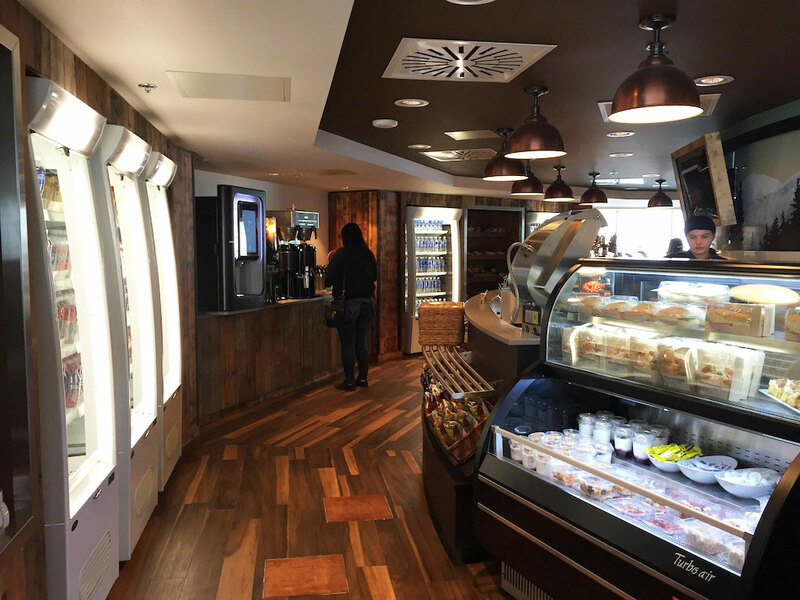 Northern Lights Caf, a self-serve eatery situated across from Sky Bistro, offers a more casual dining option. Here, you can grab items like sandwiches and salads or visit the carving station for a meaty treat and sides. Once you have your food, grab a seat at a table alongside the floor-to-ceiling windows. Visitors can also grab some coffee and some quick snacks to go at Castle Mountain Coffee Co. on the first floor. 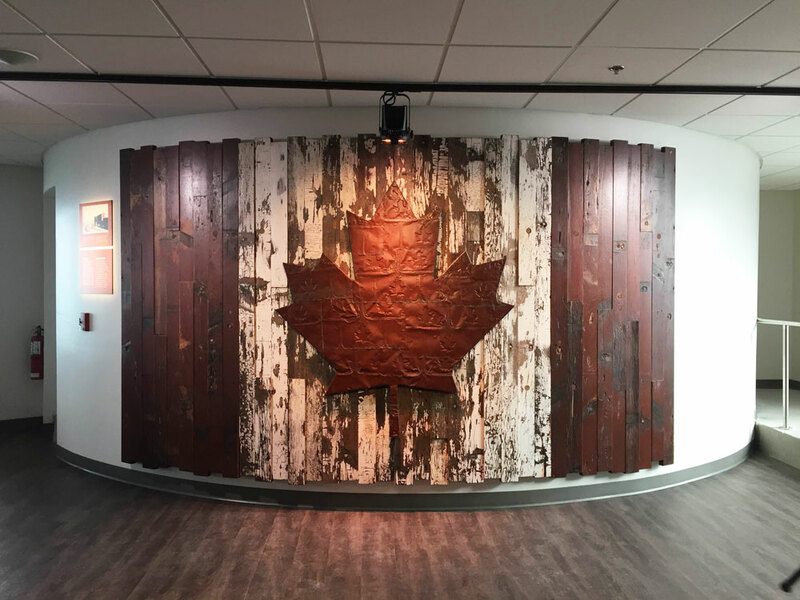 This fourth floor room, which you pass on your way outside to the 360-degree observation deck, will be used as a space for Canadian citizenship ceremonies. This mural, sure to become a popular photo backdrop, is made of reclaimed wood from train cars. 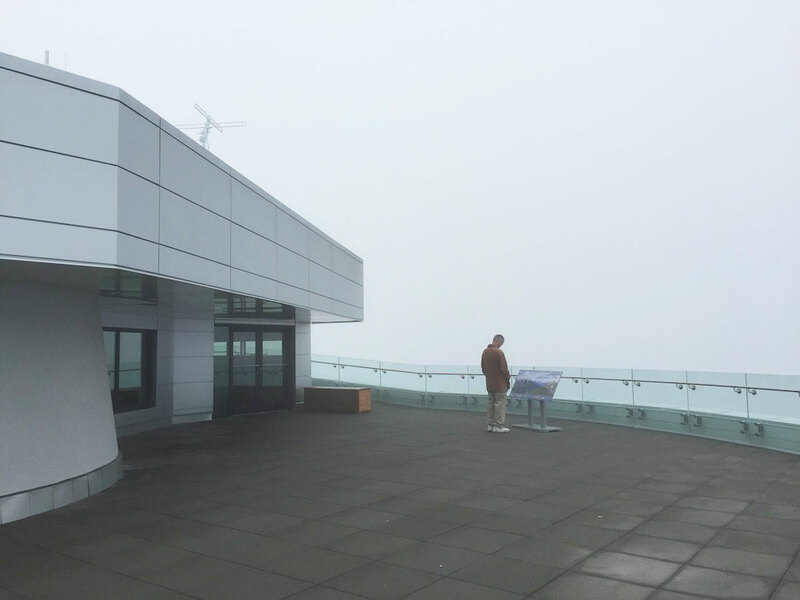 One must-see experience is the 360-degree observation deck on the top floor of the new building. While it was too foggy to see much on the day we visited, the spot usually offers a view of six mountain ranges and the town of Banff.